This little trick will allow you to retrieve your serial number of Windows. 2) Either the "AIDA64" program of FinalWire that pays but can retrieve serial numbers of some programs. Many small utilities type "Key revealer" or "Serial Finder" also can retrieve the serial number of Windows. 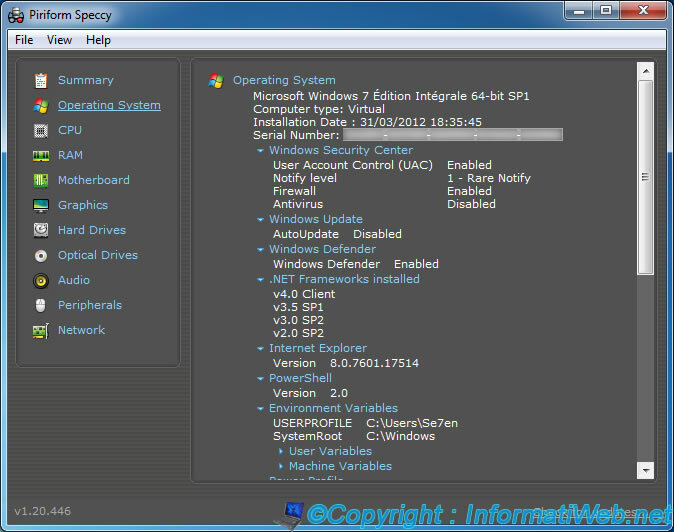 Download "Speccy" and install it. Then go to the "Operating System" tab. The serial number is displayed on the line : "Serial Number". Download "Aida64" and install it. As noted above, this program is not free. The trial version doesn't allow you to get your complete serial number of Windows. If you purchased the program, go to the menu : Applications -> Licenses. 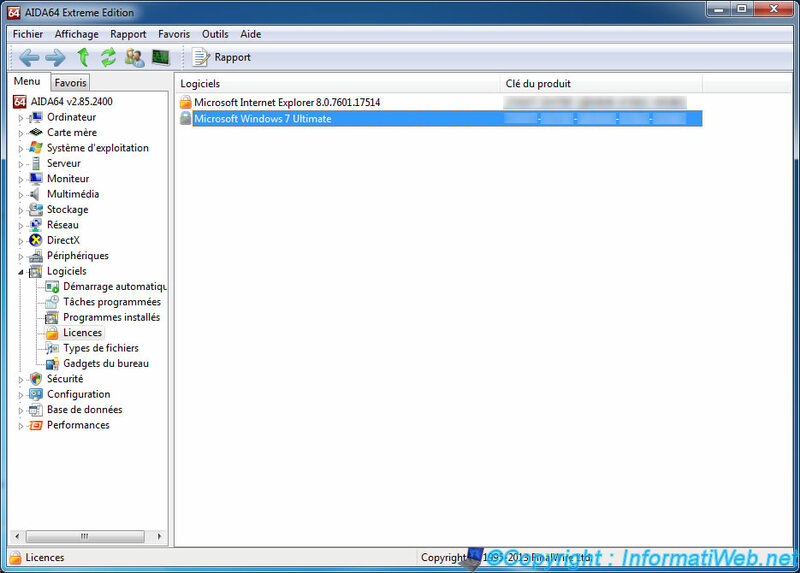 In this list you will find the serial number of Windows, the Internet Explorer (which is the same as Windows) as well as those of some installed programs (eg Microsoft Office, Visual Studio, VMware, ...) on your computer.